“LAN-kast-ər”: pronounced with wide open vowels. Just the sound conjures a place that’s expansive, broad and extensive. A vast city region. We’re part of the Northern Powerhouse and boast a portfolio of assets stretching out across the Forest of Bowland with historic landmarks still in the possession of the British Crown as the Duchy of Lancaster. A major destination on the West Coast mainline between Glasgow, London and Manchester and in the strategically important M6 corridor. A city region crossed by canals and the River Lune, perfectly situated between two Areas of Outstanding Natural Beauty – within minutes of Morecambe Bay’s spectacular coastline, the open countryside of North Yorkshire and the mountains of the Lake District. Lancaster is a place of quality, scale and magnitude. Characterised by fine Georgian architecture: the Queen’s Priory, Lancaster Castle, and the Ashton Memorial sitting proudly in the centre of Williamson Park. Elevated by the academic excellence of not one but two universities, Lancaster and Cumbria. Our new story reflects where we have come from, but more importantly where and how Lancaster can grow and develop in the future. For the full story please download ‘Our Lancaster Story’. Energising entrepreneurial excellence: upgrading our commerce and industry, developing new digital businesses, leading the way in sciences such as artificial intelligence, augmented reality and information apps. Lancashire’s reputation as a place of making and creativity is showcased in Lancaster. We are a city of diverse entrepreneurship which ranges from brewing and book publishing at one end of the scale to our nuclear energy facilities at Heysham. Digital Lancaster underpins Lancaster University as a globally significant leader in higher education and digital innovation. Through research and development, teaching and engagement the University will be central to our mission to become pioneers in digital enterprise. We will invest in offices and build industrial spaces, and through imaginative creative redevelopment of heritage buildings we will encourage digital and creative start-ups to thrive. We will provide opportunities for business growth and relocation which will bring well paid jobs to attract and retain talent from our universities. Our students will want to remain in the region, to invest and contribute to our economy. By identifying relevant audiences, and through appropriate communication and marketing, Lancaster city is articulating its vision to secure major investment. Plans are evolving for transformational developments such as Lancaster Castle and The Canal Quarter, alongside a range of significant transport improvements. Lancaster University is embedded in a range of sectors in the city, actively participating in key initiatives, economic and cultural activities and student housing. We are taking back our museums in an exciting plan to reposition their importance as a city centre attraction. Our early Roman history is being unveiled via a series of archaeological investigations which are going to continue for many years and are likely to be of international significance. Linking with the university to develop Lancaster’s digital economy has been identified as a key force in elevating the city’s status as a place for innovation and economic prosperity. With over 2,000 years of history behind it, the city is putting in place infrastructure to raise the profile of Lancaster as a place to live, work and visit. We aspire to develop the Lancaster City Region as a magnet for artists of international standing, a creative playground for Lancaster artists and arts organisations and a place for collaborations: between art and business, international and local, professional and community. We will continue to excel and grow Lancaster’s international reputation as a destination for heritage and artistic quality, attracting significant numbers of visitors and families. Lancaster and South Cumbria’s cultural pedigree is acclaimed by Arts Council England as having the biggest critical mass of culture, outside of Manchester and Liverpool, in the North West. We will create a year-round portfolio and become Lancashire’s festival city where young and old can enjoy the benefits of student culture in its broadest sense. The region has a wealth of big stories relating to its buildings, from the Romans to maritime shipping and associated wealth providing the Georgian legacy, through to the manufacturing era of the Victorian period when Williamson’s and Storeys were world renowned. The Ashton Memorial has long provided a beacon for Lancaster, whilst the castle, recently handed back to the city as a heritage site, is synonymous with the region’s Lancashire witch trials. An escape from the mundane, the moors and mill towns, the modernity and motorways yet connected by high speed trains and with easy access to the M6. Lancaster has the lion’s share of Lancashire’s grandeur. Here is the county’s magnificence. Visit our vibrant City of Lancaster, one of England’s chosen Heritage Cities, and be blown away by the spectacular beauty of ‘nature’s amphitheatre’, Morecambe Bay. A royal city, a place of Kings and Queens stretching as far as Carnforth and the South Lakes, across to North Yorkshire, down to proud Preston and beyond to Ireland and the Isle of Man. Canals, countryside and coastline receive city status in Lancaster. The heady arts and cultural landscape mixed with the impact of two universities and a young, student population means this attractive city has an all-age bohemian vibrancy. It’s bookish, trendy, eclectic and ‘hip’ with a range of busy bars and laid-back coffee shops alongside the traditional high street shops and high-quality independents. We attract free-spirited and discerning families, looking for healthy lifestyles and interesting housing stock. This is a diverse population of people with enquiring minds, who enjoy participating and investing in the vast community networks of interest which underpin the lifestyle of the city region. Bailrigg Garden Village will link the city with Lancaster University, providing a modern place for living and a focus for growth. Strategically placed to capitalise on the regions connectivity, families grow with access to the fresh air and finer city assets like museums, theatres and galleries. Download the Lancaster Toolkit and tell your Lancaster story. Lancaster’s visual expression is made up of various elements including a unique visual language, visual identity, colour palette, typefaces and photography. This allows you the ultimate control and flexibility to turn focus up and down on aspects and audiences whilst still relaying one message, which feels and looks like the overall brand. The visual language is a highly adaptable and evolving system, not just a static logo, so we encourage you to use this in a forward thinking way. Think like Lancaster – show culture, heritage and innovation and push these tools to their limits – but most of all have fun! Please check your final confirmation/welcome email for download instructions. We'll only use your email address to share occasional toolkit updates, announcements and best practice. You can unsubscribe at any time. 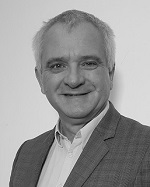 Alistair moved to the area in 1991 after studying transport management and planning at the University of Loughborough. In 1996 as part of a small team, Alistair helped set up Seatruck Ferries, a freight only ferry company with its head office in Heysham. Seatruck specialise in the shipment of unaccompanied freight trailers and has grown from a new entrant to a significant player on the Irish Sea moving in excess of 360,000 freight units per annum on two routes from Heysham and one from Liverpool. Sue leads on developing the University’s culture of engagement, working at local, regional, national and international levels to shape the University’s engagement strategy. She was the lead forensic anthropologist for the UK response to war crimes investigations in Kosovo and has also served in Sierra Leone, Grenada, Iraq and in Thailand following the Asian tsunami. Sue was awarded an OBE in 2001 and a DBE in 2016 for her services to education and forensic anthropology. Martyn moved to Lancaster, from Birmingham, in 1983 to join the Lancaster Guardian as a reporter and has remained living and working in the area since. After spells with the Lancashire Evening Post and Lancaster and Morecambe Newspapers, Martyn joined the team at Heysham Power Stations in 1997 looking after external communications and also taking a key role in linking the sites more closely to their community. In recent years this has included being a member of the Lancaster Vision Board and in the past 12 month a member of the new Place Working Group and he is now delighted to be part of the Place Board. 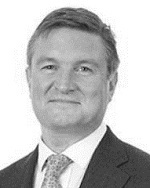 Marcus is the founder and owner of the Habicus Group, which incorporates the serviced apartment businesses of SilverDoor Apartments, Citybase Apartments, Central London Apartments and the Orbital Platforms suite of technology systems. Marcus is from Lancashire and was schooled in Blackburn. 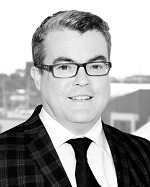 His early career was in the property and construction industries, and having completed an MSc in Building Heritage and Conservation, he ventured to London in early 2000 and founded the company. Since then it has grown to become the largest independent serviced apartment agency in the world. Debbie joined the Duchy team in April 2015 after 30 years in private sector consultancies. She previously headed up the property and planning and division of Bell Pottinger in the North. In her early professional life she worked as an interpreter for the International Union of Architects in Paris and then as Press Officer for the RIBA in London. Today, she divides her time between the Duchy’s London headquarters and its Northern office at Lancaster Castle. She is passionate about the role of the Castle as a catalyst for the City’s continued regeneration. 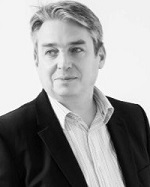 Michael has worked in the media and creative sectors for over 25 years. He began his career in London where he worked in publishing and advertising agencies. 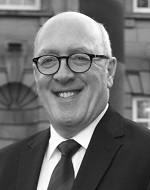 He is an Entrepreneur in Residence at Lancaster University; a member of the Management Committee of the Lancaster Business Improvement District; a Trustee of Lancaster Boys and Girls Club and the Lancashire Association of Boys and Girls Clubs; on the board of Digital Lancashire; and is an ardent supporter of Morecambe Football Club. Kieran joined the council in July 2017 in a role designed to assist the council in developing and implementing a commercialisation strategy for the organisation – something which has seen ongoing success. 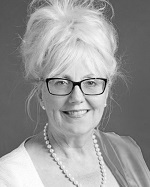 Susan’s early career in the commercial world paved the way to a 20 year career at Board level working as the HR and Organisational Development Director within a major research university and for 10 years as a non-executive Director in two inner city University Hospital Trusts. 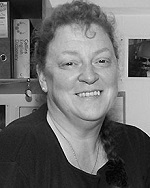 Susan has also spent many years as Trustee and later Chair of a national Charity, The Reader Organisation. 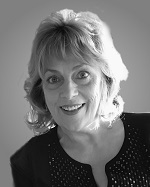 Susan is now working in consultancy mode both within the Commercial, NHS, Care and Charitable Sectors. Lancaster’s new story is managed by a creative, commercial and community-minded team of stakeholders firmly focussed on the vision and values of the City. If you would like to contribute to this new story, find out more, or if you simply have something to say, please let us know.